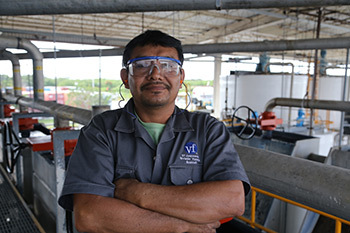 VF’s garment manufacturing facility in Acanceh, Yucatan, Mexico, goes well beyond the standards set for wastewater disposal. 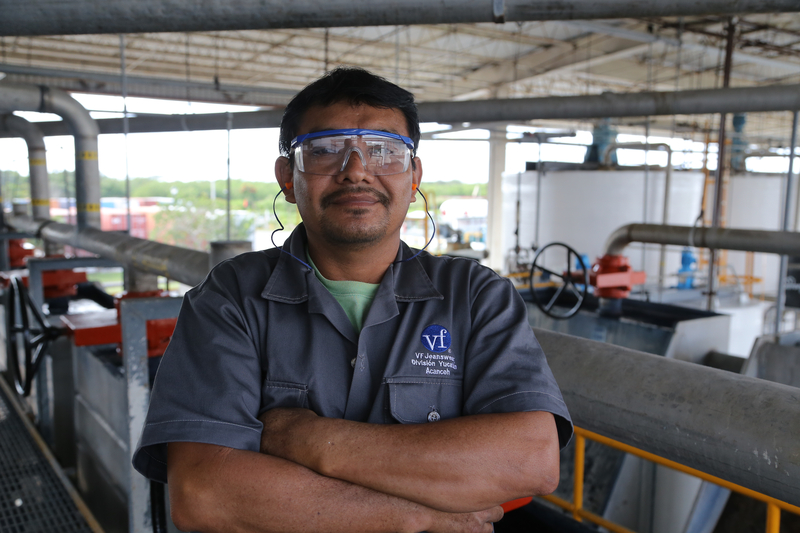 Rather than returning the water used in our laundering process as-is, the used water goes through an intense purification process that leaves it cleaner than before, and clean enough to be restored into the aquifer from which it came, or to use in a variety of irrigation projects. 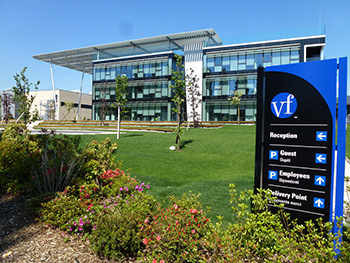 At 160,000 square-feet, VF’s Alameda, Calif., campus, home to VF Outdoor brands including JanSport®, The North Face® and lucy®, has a small impact on the environment. Using a combination of energy-saving design components, the campus boasts a net-zero-electricity consumption—meaning all electricity used is less than or equal to the amount of electricity the building produces. VF’s international headquarters in Stabio, Switerland, was designed with an emphasis on sustainability. The office is powered by 100 percent renewable energy sourced from solar panels, wind turbines and hydroelectricity. 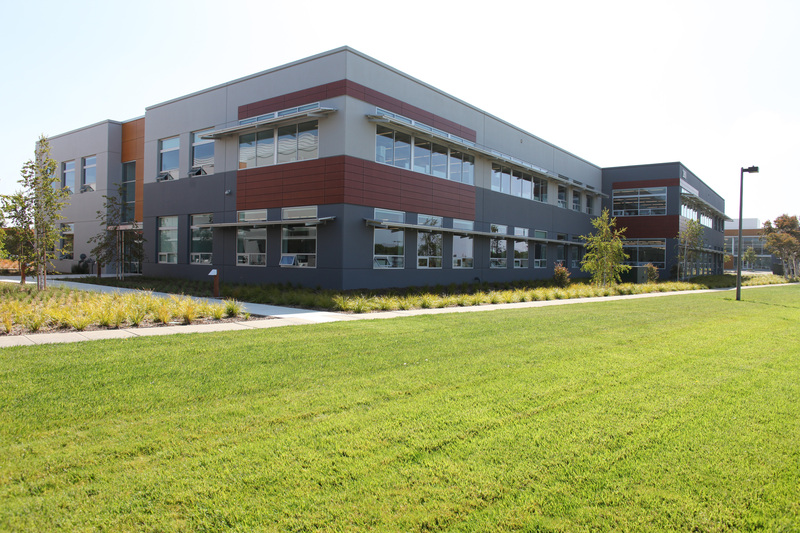 The building is also home to 14 recycling centers, with responsible wood décor and recycled furniture located throughout.